and Thursday morning from 6h00 to 10h00. 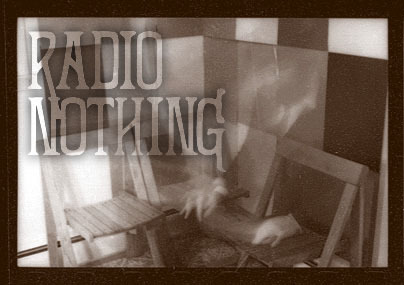 Radio Nothing: Long Schizofrantic Mix Nothing. Diverse Nothing. New Music Nothing. Avant Garde Nothing. Experimental Nothing. as well as the latest edition. along with a list of the source material. the edition of Radio Nothing you heard it on. is an ongoing project with no end in sight. Please visit again for more fun and adventure.